Celebrate Shakespeare as the Folger Shakespeare Library, at 201 E. Capitol St. SE, hosts what would be the writer’s 454th birthday party this weekend. As the weather warms up, get outside and hop from festival to festival this weekend. You can celebrate big with events honoring Shakespeare’s birthday and Earth Day. Although Earth Day is officially Sunday, it’s never too early get in an eco-friendly mindset. Celebrate the holiday early at this festival by planting yourself in the three-acre outdoor National Garden at the U.S. Botanical Garden surrounded by water lilies, roses, butterflies and greenery. Enjoy hands-on activities like crafting seed necklaces or engage in conversation with representatives from regional environmental organizations as they teach you how to do your part in preserving the Earth. After you enjoy the festivities, head inside the conservatory for a tour or check out the rotating exhibit “Wall Flowers: Botanical Murals,” which features large scale botanical art. U.S. Botanic Garden, National Garden, 100 Maryland Ave. SW. 10 a.m. to 2 p.m. Free. Fill your afternoon with craft brews in tiny clear mugs at the annual D.C. Beer Festival. Now in its sixth year, the festival showcases 80 regional craft breweries and more than 200 seasonal beers. After a few brews, you’ll be more likely to dance and sing to the live music that will play throughout the day, including the ’90s cover band, Make More Animals, Bobby McKey’s dueling pianos and multiple DJ sets. Though you can’t play baseball at Nationals Park, there will be opportunities to show off your lawn game skills. Admission includes unlimited beer tasting so you can make the most of the ticket price, but food from more than a dozen food trucks is sold separately. Nationals Park, 1500 S. Capitol St. SE. Noon to 3 p.m. or 5 to 8 p.m. Tickets are $45. 21+. 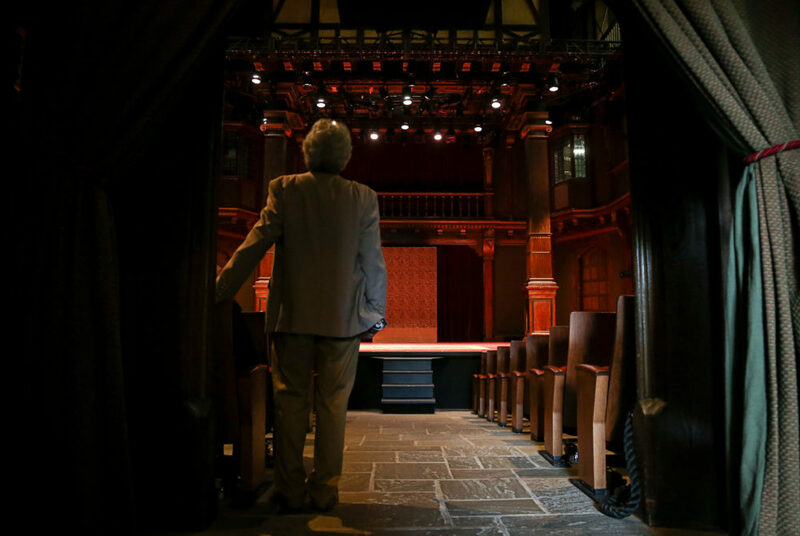 Celebrate everything Shakespeare as the Folger Shakespeare Library hosts what would be the writer’s 454th birthday party. Get your Elizabethan fix as you watch sword fighting demonstrations by Tooth and Claw Combat Arts. The U.S. Army Baroque Ensemble and the WETA Players will be on hand to play music throughout the day, or you can listen to the winners of this year’s annual sonnet contest as they recite poetry. Partygoers will also have the chance to hear from “Kill Shakespeare” comic book creator, Anthony Del Col, or linger at the Folger Library reading rooms packed with paintings and stained glass windows. Free birthday cake will be provided and food trucks like Captain Cookie and the Milkman, DC Slices and The BBQ Bus will line the driveway for more food options. Folger Shakespeare Library, 201 E. Capitol St. SE. Starts at noon Free.